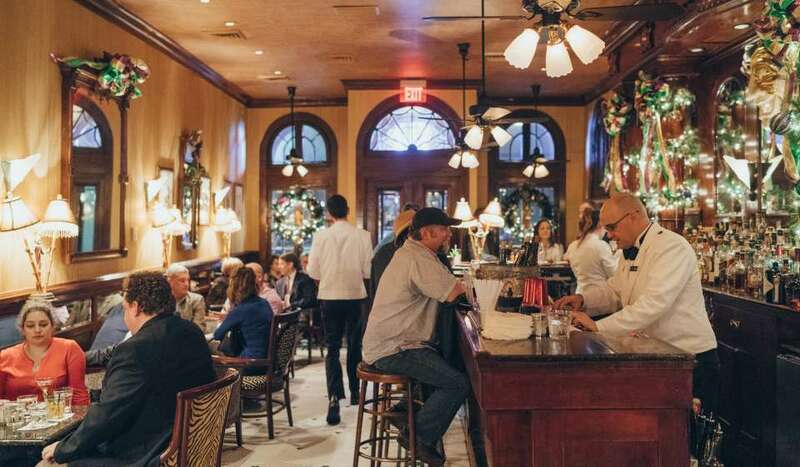 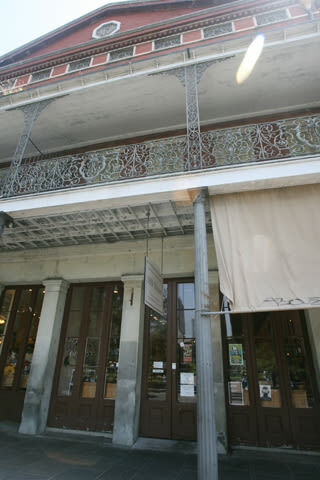 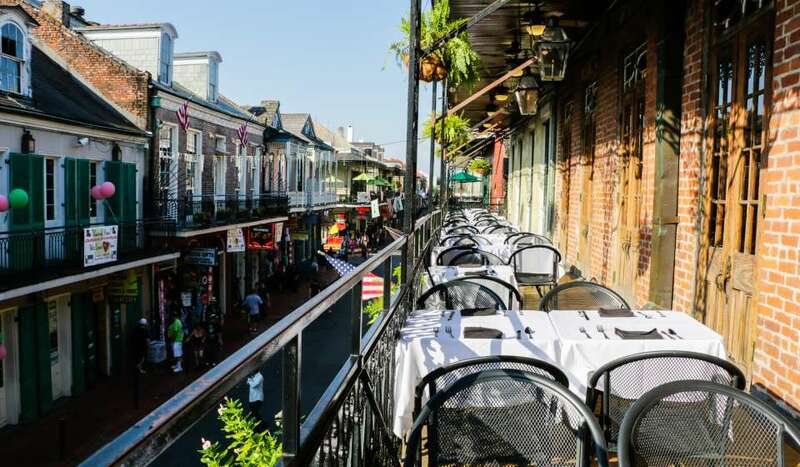 The Upper and Lower Pontalba Buildings, which line the St. Ann and St. Peter Street sides of Jackson Square, were built in 1850 by the Baroness Micaela Almonester de Pontalba, daughter of Don Andres Almonester y Roxas, the Spanish colonial landowner associated with the neighboring Cabildo, St. Louis Cathedral, and Presbytere. 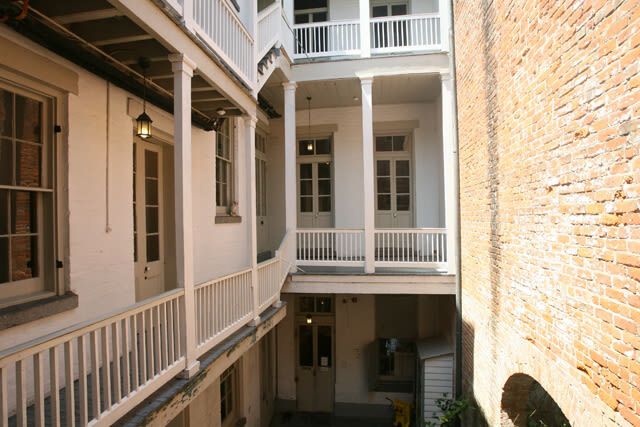 They are believed to be the oldest apartment houses in the United States. 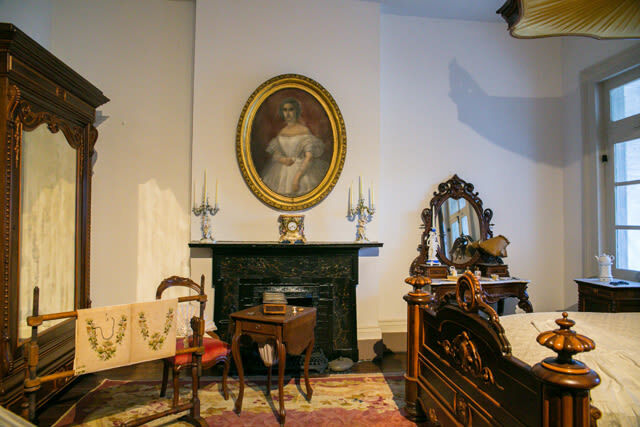 Inspired by the imposing Parisian architecture the Baroness favored, the distinctive rowhouses were intended to serve as both elegant residences and fine retail establishments. 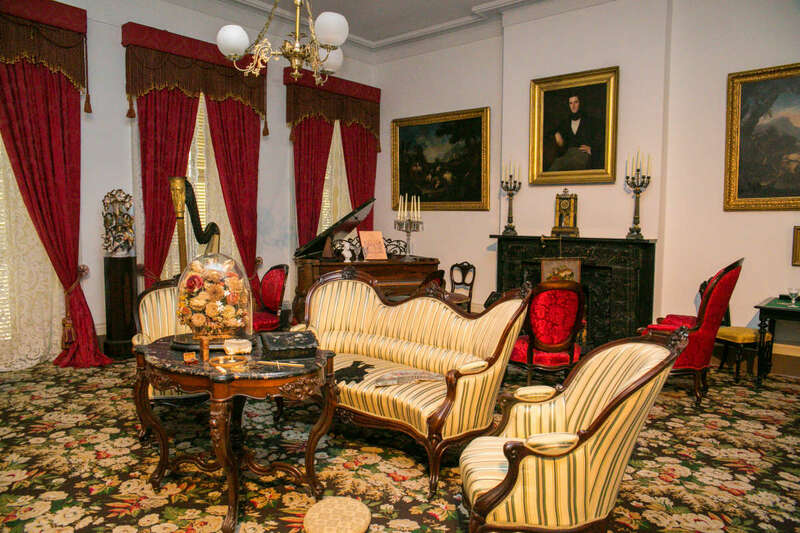 In 1921 the Pontalba family sold the Lower Pontalba Building to philanthropist William Ratcliff Irby who subsequently, in 1927, bequeathed it to the State Museum. 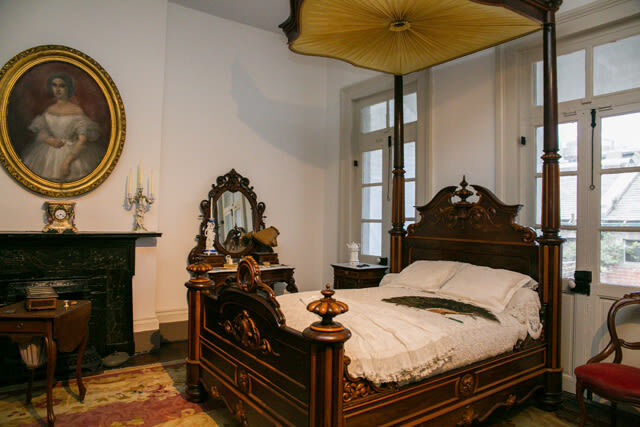 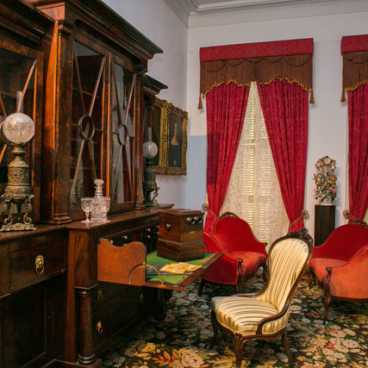 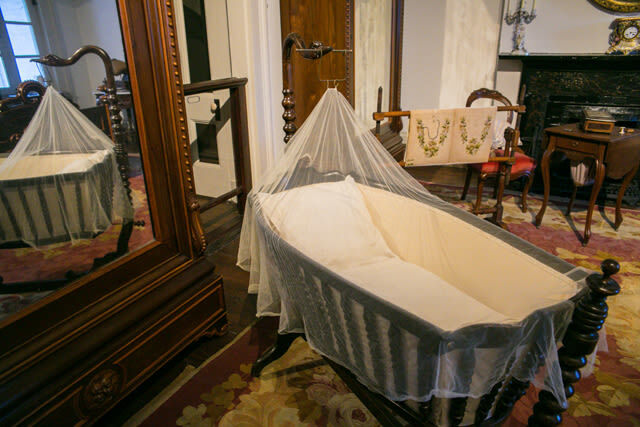 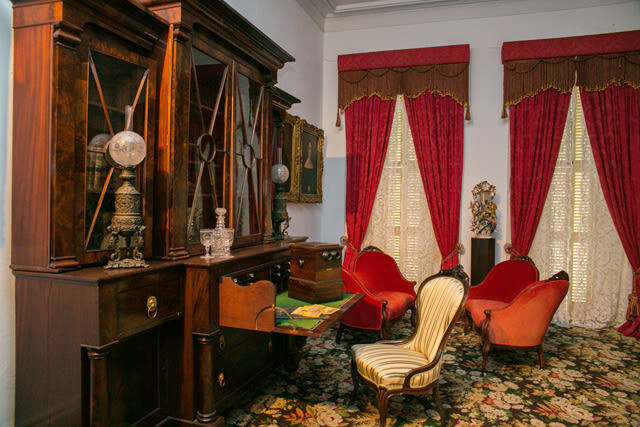 To illustrate the landmark's historical significance, the State Museum has recreated what one of the residences would have looked like during the Antebellum era when the Baroness Pontalba first opened her doors. 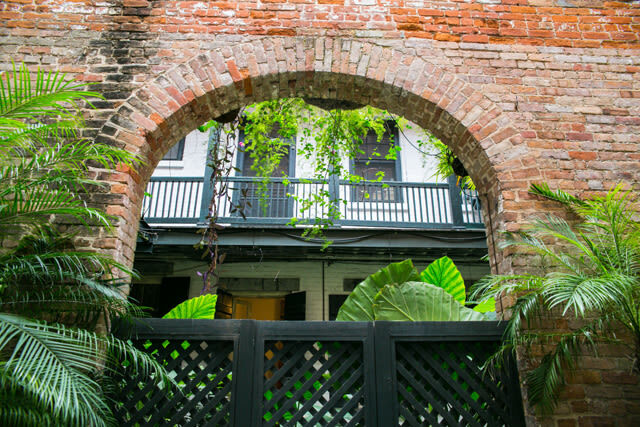 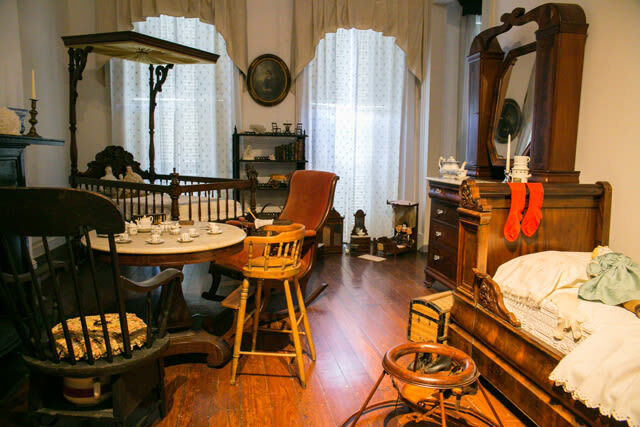 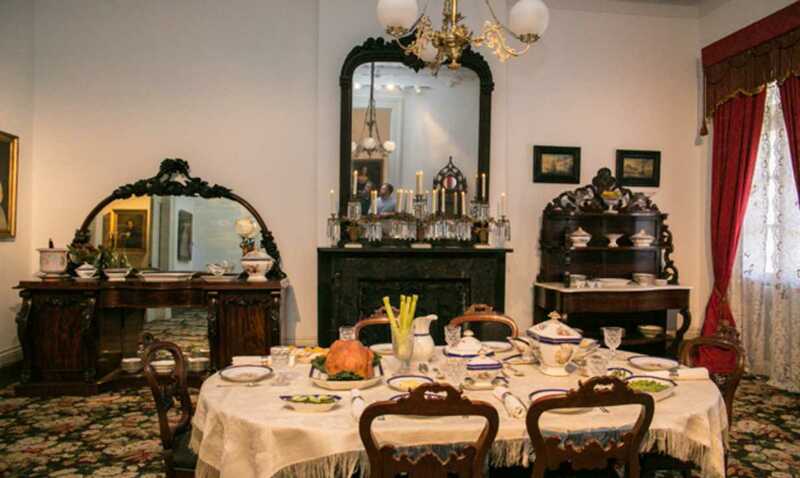 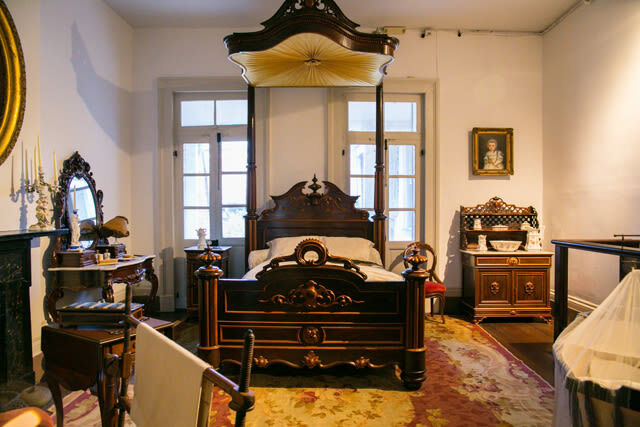 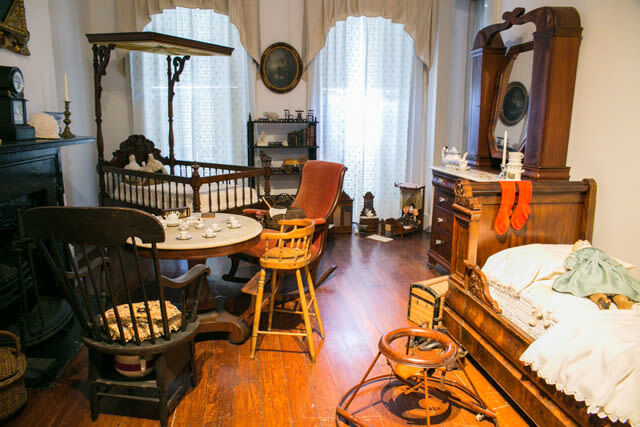 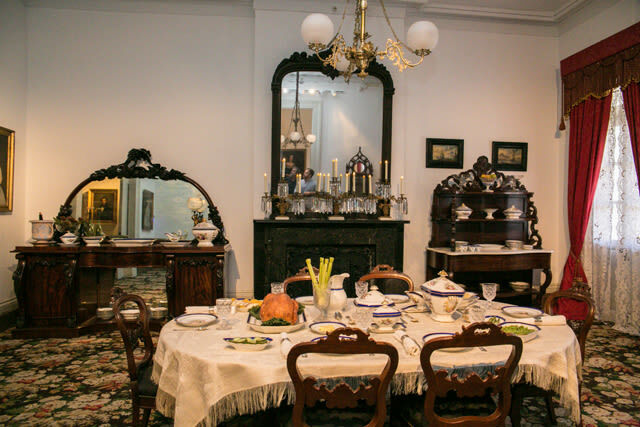 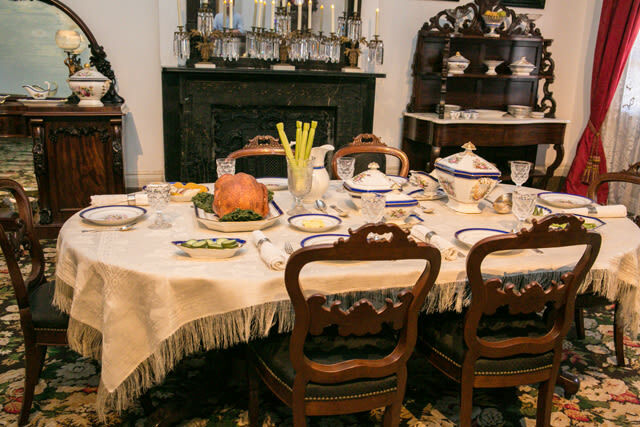 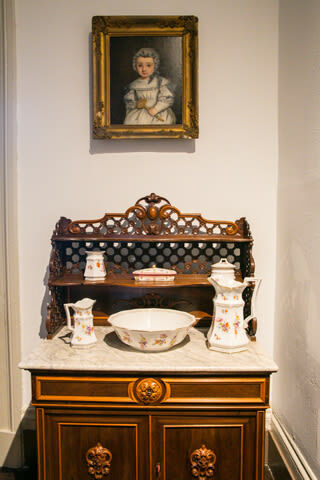 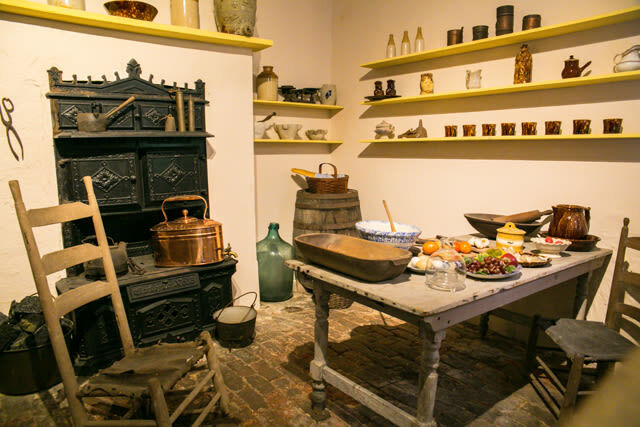 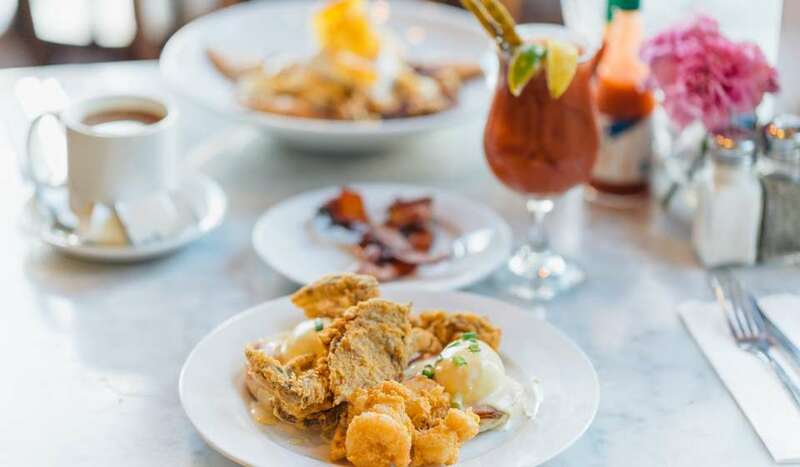 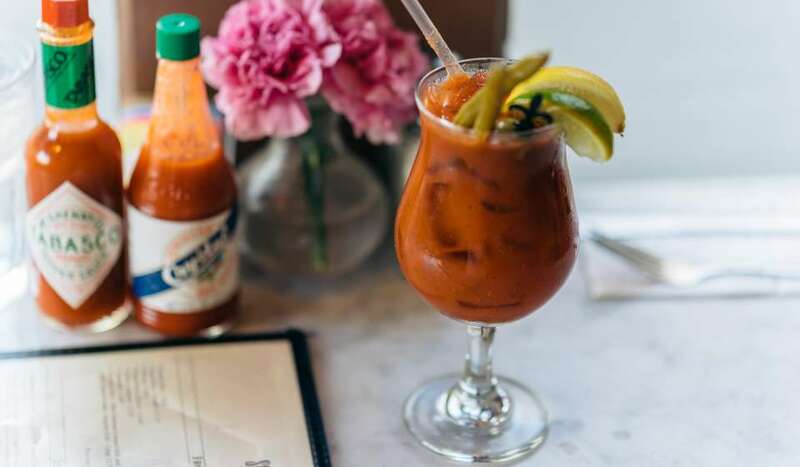 Faithfully furnished with domestic goods, decorative arts and art of the period, the 1850 House depicts middle class family life during the most prosperous period in New Orleans' history. 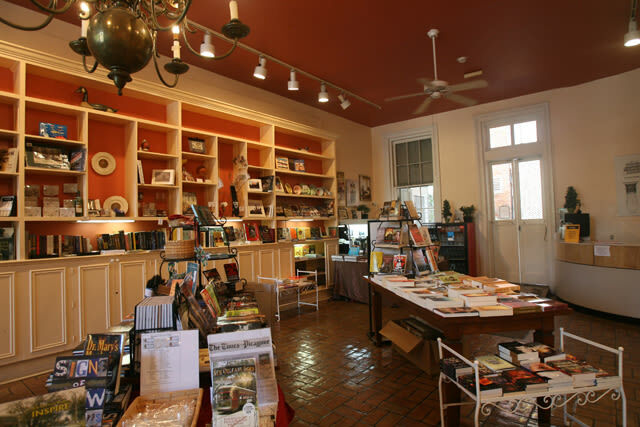 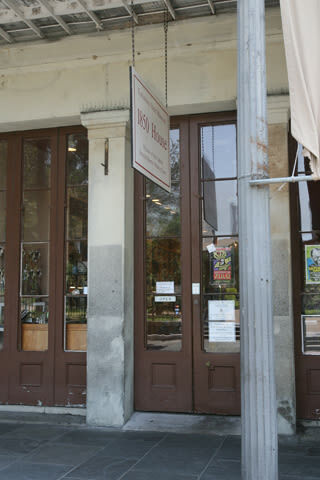 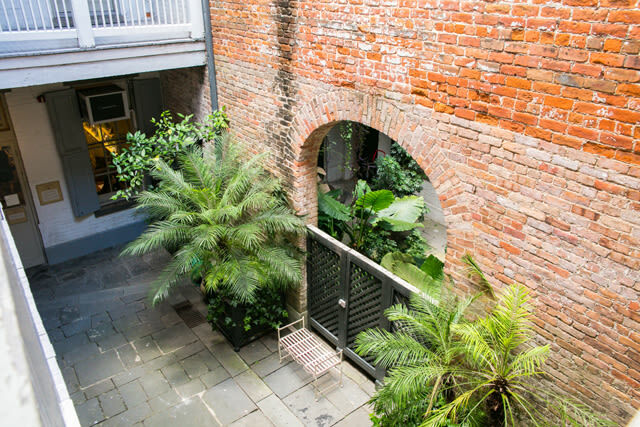 Limited docent- and curator-led tours are available as is self-directed viewing.The Museum gift shop, operated by the Friends of the Cabildo, is located in the 1850 House.